It’s all about the dough………… fun to play with and you can eat it too ! Put all ingredients into bread machine , in order , saving the seeds , and sun -dried tomatoes to add during the final mixing cycle. If you forget you can manually knead the seeds in after . 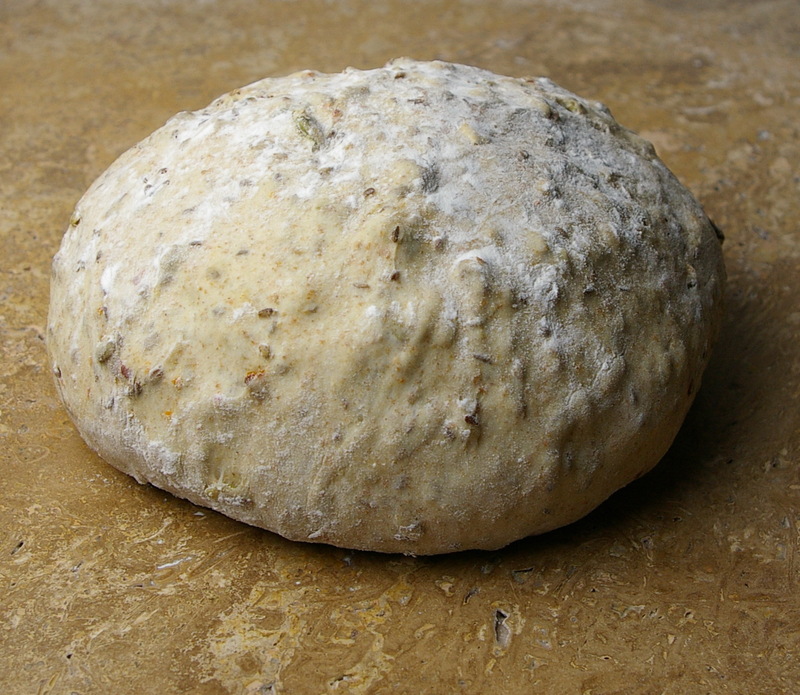 Put bread machine on dough cycle, then take out of machine put into a well greased bowl and cover with a damp cloth. Place into a proofing oven ( preheat oven to 200° then turn it off ) let dough rise about 30-45 minutes. Take out of proofing oven, and place dough on lightly floured surface, and cut into 4 equal portions, shape into balls and roll into ablong shapes, make a few little slices in top with a sharp knife, and place them onto a greased baking sheet 3 inches or more apart and back at 375° oven for 25 minutes or until golden brown . Remove bread and place on cooling racks. Makes 4 nice little loaves and is superb for sandwiches. 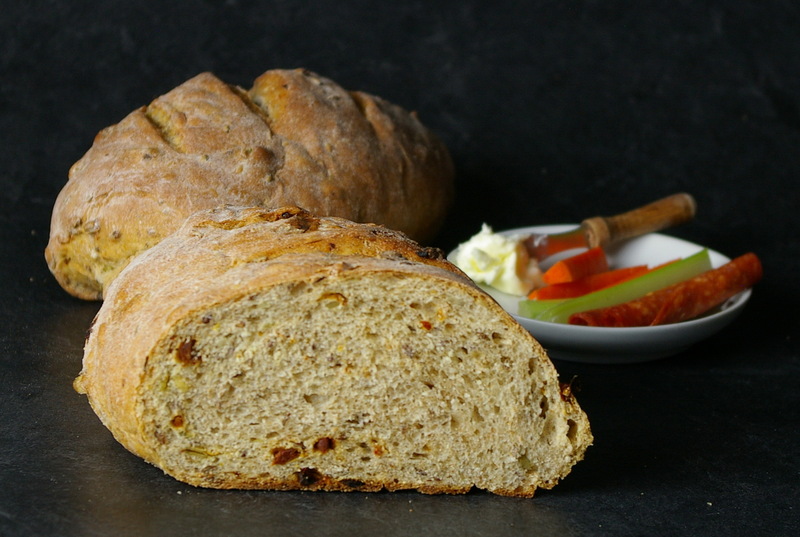 This is a general recipe for the seed bread John makes, you can make with or without the sun-dried tomatoes, or they can be substitued for raisins, or black olives . This entry was posted in Bread, Home, Recipe Index and tagged Bread, Bread Machine, Dough, Flax Seeds, Flour, Pumpkin Seeds, Sun-Dried Tomato, Sunflower Seeds, Whole Wheat by Ginger Smoothy and Otto Pilot. Bookmark the permalink. If I baked, I would be as big as the house. Looks great!